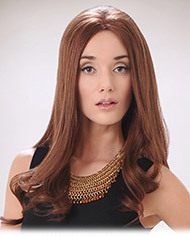 These human hair wigs are the best of the best -- the finest choice in wigs. You'll love the look and the feel of real human hair, and the monofilament top makes it look like the hair actually is growing from your scalp. An array of styles by Wig Pro, Louis Ferre and Rene of Paris offer something for everyone. Some wigs also feature hand-tied caps, lace fronts and Remy Human Hair for the ultimate in comfort and luxury.